We’re going to be talking about the importance of emotional intelligence. If you’ve been reading the blog, you know that I continuously pound and talk about EQ and how important it is. I based my entire first book, The MECE Muse, on how having emotional intelligence as a skill is what makes an individual from being a good consultant to a great consultant. I had a chance to connect with Harvey Deutschendorf for this discussion. Harvey is an EQ expert. He is an authoritative figure on the topic of emotional intelligence. He’s also an author and a speaker. Go-getters, you are in for a treat. Harvey shares his personal story, which I found compelling. I was touched by a personal story that he shared. How he discovered along the way the importance of emotional intelligence. How he created a purposeful journey towards making sure that he built his expertise and skill in that area. What’s promising about this conversation as you read Harvey’s story, is that emotional intelligence is something that can be learned. It’s something that you can take on as a skill and build on it day-to-day. You don’t have to feel like, “Maybe I missed the boat.” Emotional intelligence is one of those skills and traits. It’s a super weapon of a great consultant. I hope you enjoy my conversation with Harvey. Harvey, thank you so much for joining us on the show. How are you doing? I’m doing great. I’m looking forward to the show. Thank you for having me on. What part of the world are you sitting in, Harvey? I’m in Edmonton, Alberta, Canada. For those that are unfamiliar, it’s the second province from the West Coast. We’re about five hours drive from our beautiful Canadian Rockies. I’ve been to various different parts of Canada. I have not been to Edmonton. We’re one of the furthest north capital in North America. We get a lot of winters here, but our summers are wonderful. We’re known as the Festival City. A few months of summer that we get, we make up for it. We have tons of festivals so it’s a great place to be in the summer. It sounds it would be one of those postcard-type of places. Thank you so much for joining us. Harvey, if you can take a moment to introduce yourself to the go-getters of the show. 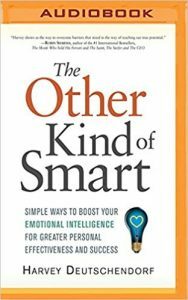 I’m the internationally published author of The Other Kind Of Smart: Simple Ways To Boost Your Emotional Intelligence For Greater Personal Effectiveness And Success. That book’s been published in English but also in China, Vietnam and also translated into Arabic as well. I’m a speaker. I love to speak about emotional intelligence and do training as well. My interests in emotional intelligence go back quite a few years. It ties into my personal story. My parents came to Canada after World War II as refugees. 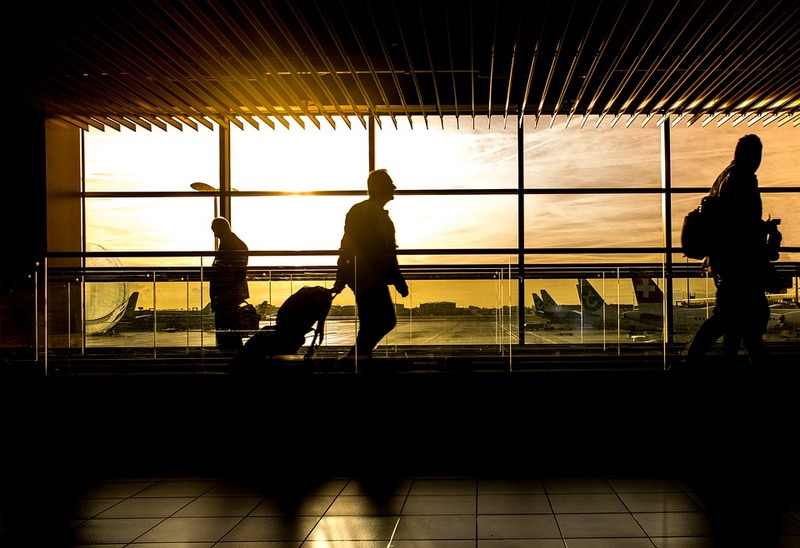 They lost everything and had to borrow money from the church for passage, and they left the rest of the family behind that we settled in Europe. The first several years of my life were spent in serious poverty. My parents were poorly educated. I went out into the world with very little support and direction. I had to go out there and figure things out and basically figure out how life worked. I thought if I got an education, I would have it made. I managed to go to university. I got a degree and I found that wasn’t the answer to my dreams. My life was not working as well as it should have. I didn’t have the friends I wanted. I didn’t have that job that was fulfilling. 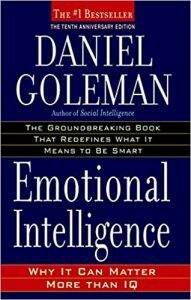 I discovered a book by Daniel Goleman called Emotional Intelligence: Why It Can Matter More Than IQ. I studied self-help books. I tried to help myself. Nothing seemed to work. I opened this book up and the first few lines said, “If emotions hold sway, intelligence can come to not.” It was an a-ha moment. I knew this was what was missing in my life. From that point on, I totally threw myself into emotional intelligence. I learned as much as I could. I joined a men’s group. I started working on myself. I started to see my life changing. I took training. Eventually, I wrote a book because I wanted people to have the tools available for them that I had discovered along the way. Most of the books at the time were academic, tough to read and didn’t give people the tools that I thought they needed to bring it into their lives. Give their lives the meaning that it was bringing to my life. I haven’t looked back. It’s given me my purpose in life and my whole meaning. You talked about being a refugee. What country is your family from? My parents came from Lithuania. They left there because they were fleeing the Red Army that invaded Lithuania during the Second World War. Most of the family were Germanic background from a few centuries before. I ended up resettling in Germany but my parents decided to come to Canada because my father wanted to be independent. They didn’t see the opportunity to do that with the rest of the family when they stayed in Germany. What’s fascinating about your story is that even though we come from different backgrounds, we have somewhat of a similar story. I’m the daughter of immigrants. My parents are from Haiti and it is one of the places where there is a lot of political turmoil. When they talk about their journey to the United States and how they helped instill in me. Like you because as a first generation American, I had to also figure a lot of things out on my own. We had similar exposure to the importance of emotional intelligence. I also realized earlier on in my career how important emotional intelligence was and how that was one of the keys of what took someone from being good to great. 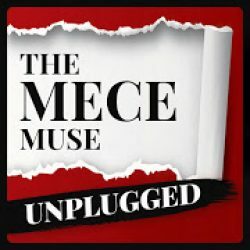 I talk a lot about that extensively as a consultant in my book, The MECE Muse. I’m hearing you and you come from a completely different world, yet we arrived at the same place in a way. We’re both outsiders looking in and trying to figure out how to fit in and how to make the most of our environment. We didn’t have a lot of support. We didn’t have extended family or anything. Nobody gave me directions, my parents were unable to. They were coming from a different world. I was left out there to struggle on my own and figure things out. Being an outsider does have some advantages. You’re able to see things from a different perspective than people who have grown up in the environment that aren’t able to see. There is some gold in the struggle there that I’ve been able to find that I’m sure you have as well and it makes you more determined. It makes you stronger. All your struggles make you a stronger person. You’ve hit the nail on the head because I think about why I’m driven. For me, I feel I have a clear purpose and I’m clear why. It comes from all of the struggles and the transformations. I’ve had a lot of reinventions in my life and it sounds you have as well, where you’ve had to reinvent and perspective. You’re leaning into how you were raised in the country you’re in now. Not everyone may appreciate the complexity of that assimilation and it is an outsider perspective. I’ve felt that way my entire life, but on the other hand, I feel it gives me the fortitude to move on. Thank you so much for sharing that. What we had here was emotional intelligence in action. It’s a connection that we made through sharing ourselves, being vulnerable and open. That creates connections between people. You talked about your background, being raised and how you bootstrap. What would be some of the guiding principles you’ve instilled? Emotional intelligence absolutely, but what are some others you can share with go-getters that are hearing your story and would love to be able to leverage some of the skills you’ve built over the years? The first thing is to be curious and be open to learning. Become self-aware to learn about yourself. Become a lifetime learner. Learn as much as you can about yourself. I learned much about myself when I started doing internal work. I joined a wonderful organization called The ManKind Project that started many years ago. A group of men started talking about their emotions and working through their emotions which men typically don’t do, which leaves some isolated thing. This wonderful organization I was able to open up, be vulnerable, and I learned so much about myself and what makes my life work. I also learned how to connect with people. I learned to be a good listener and I learned how to form really strong deep connections with other people, which started to change my life. It’s still drastically changing my life. It’s all about the relationships that we make with others. That’s everything when it comes to business. That’s everything when it comes to our personal lives. It’s the connections, it’s relationships that we are able to form with other people. As you talk about this, let’s say if someone’s reading this and they’re more introverted in nature. Sometimes I feel that can be a barrier when it comes to developing your emotional intelligence. What type of advice would you have for someone who is either introverted or have social anxiety? That may have come up as of late with many people on social media. There’s not as much emphasis as person to person connections. What advice would you give those types of individuals? I’m introverted as well and that’s something that I have struggled with. There was a time when I would go in and when I go work out at the pool. I would go into the dressing room where I would dread having to speak to somebody. Somebody would speak to me, I would answer the question and I couldn’t wait to get out of there. Now, I force myself to start communication, start talking to people. It was uncomfortable at first. I kept forcing myself. The comfort became over time less and less and now I look forward to it. I’m not a raving extrovert. I never will be out there doing things. I used to dread going to any social occasion or anything because I didn’t know what to say, it felt uncomfortable. Now, I look forward to it because I found out that I don’t have to have anything to say. All I need to do is listen to people. Make it about them, ask them questions. What I’ve learned is very important. When I’ve met somebody before, somebody I want to make a connection with. I listen to what they’re saying. I remember things about them and then when I see them again, I’ll say, “How is that going?” They’re shocked because most people never listen. Most people are too busy thinking of a response. They’re shocked that I remember things about them. At that instant, we make very strong connections because I become somebody that is important to them because I’ve listened to them. I’ve learned to do that. I don’t have the anxiety anymore because I don’t feel I have to keep up this conversation or whatever. I listen and I make it about them. It’s becoming I wouldn’t say totally comfortable but it’s more and more comfortable. I look forward to going out to these gatherings now. It’s breaking through our comfort zone, continuing to do this. At first, it’s uncomfortable, over time it will become more comfortable. Forcing ourselves, getting out of our comfort zone, and pushing our boundaries that are what it’s all about. I want to take a step back for our go-getters who are reading this, scratching their head, and they’re thinking, “What does emotional intelligence mean?” Would you be able to break down in your own words what emotional intelligence means? What are some of the guiding principles you have around it? The official definition is it’s our ability to recognize, differentiate, and to manage our emotions and emotions of others around us. I’m sure we can manage our own emotions if we try and make the effort. I’m not sure we can totally manage others emotions as much. I know we can influence others emotions to a great degree. My own definition is making our emotions work for us rather than against us. Our emotions can be our best friend and they could also be our worst enemy. It’s making them our best friend. Making them something that we enjoy using and we’re not afraid of. We can use it to develop relationships with others in our work and at home as well. If someone want to start to focus and enhance their emotional intelligence to become a great consultant. What would be some daily habits that you would recommend one to try out? There are things that we can do every day. The first thing about emotional intelligence is we really need to develop our self-awareness. That’s the basis of all emotional intelligence. If somebody wants to do that, spend some ten minutes every day. Maybe you need to close your eyes but focus on our feelings. How are we feeling? What’s making us feel this way? Becoming more aware of our internal self. What makes us tick? How do we react to people? What situations make us anxious? What situations make us bad? Become aware of our strengths and also become aware of the things that we need to work on, the things that are holding us back in life. Start listening to become a good listener. A good way to become self-aware is to have people that we trust, that we believe in that will tell us the truth hopefully in a gentle way about how they perceive us. People that we respect to look up to and listen to what they tell us. If there are things about us that we like to change that are holding us back, start to work on those areas. What I found when I started to build my muscle of emotional intelligence is to listen. What I’ve found is listening to what is said and what is not said, and listening to the nonverbal cues as part of that listening. Listening to the nonverbal because a lot of listening is being aware of what’s not being said. Being aware of how it’s said. Being aware of body language, tone, everything. Being totally in tune with what the person is saying and what’s behind they are saying. Not missing the nonverbal cues. Being able to get into the space where the person’s at and being able to be aware of that. Match the person not only in where they’re at but good listeners can match the tone, physical and the way people are reacting with their bodies, things like that effectively. Become totally in tune with the other person that you’re interacting with. I want to pivot here, Harvey. I want to have you to talk to us about your book, The Other Kind Of Smart. Tell us a little bit about the book. What made you decide to write it? When I was getting excited about emotional intelligence as I was taking training, I was reading everything, and I started talking about it to groups of people long before I’d written the book. People will come up to me and at the end, they’d be excited about it. I was excited, and they said to me, “Is there a book out there that I can pick up that I can start using this stuff?” I said, “No, the books out there are quite academic.” What somebody has to do is break this down in a way that everybody can understand this and learn how to use it and offer some tips so that they can use it to develop it every day. I thought, “I’ve written a book before years ago. I can do this.” I decided that a book like this was necessary. I decide, “I’m the one that can write it.” The rest is history. I got the book out there. We’ve had lots of requests for more information even that’s in the book. We’re well on our way to developing a workbook that even goes further to talk about ways that people can develop their different areas of emotional intelligence. It gives even more depth information because many people want to know more about what they can do to increase emotional intelligence. The good thing about emotional intelligence is it’s not like IQ that’s set for life, we can increase it. By doing that, we can turn our lives around. We take charge of our future by doing that. This book should be out, we’re working on it. Congratulations on your TEDx Talk. I would love to hear about it. I got off the stage myself. We’d love to hear where you are in your journey and if you can share. I know some organizers are funny. They don’t want people to share but whatever you can share we’d love to hear it. The TEDx Talk is something that I share most of my life. I have felt shame because of my upbringing, my family. I hid my background from most people. It’s in the last few years that I’m starting to gain the courage to share. The TEDx Talk is going to be sharing more of my stories that I have in our conversation. I get out there and I’m going to share my story and my journey. I’m going to share some deep and basic things about how emotional intelligence changed my life, what it did for me. It’s in a way doing something that I haven’t been able to do at this point but it’s being able to share my story. It’s a catharsis for me. It’s coming out of my early life and the direction that my life has gone and tied it into how important emotional intelligence was to my story. The beautiful place it’s brought me to where I’m feeling real joy and happiness to have a wonderful relationship with my partner. Life is going well. It’s a struggle with a very happy ending. This is such a heart-warming conversation, Harvey. You’re a beautiful human being. Thank you so much for sharing your story and the information about the books. Go-getters, you got to check out The Other Kind Of Smart. You could tell from this conversation that Harvey is the real deal when it comes to emotional intelligence. He’s an expert in the space and you definitely want to check him out. If people want to get ahold of you, what’s the best way they can do that? They can go through the website, www.TheOtherKindOfSmart.com. They can also email Harvey.EIGuy@Shaw.ca. I’m known as the EI Guy, emotional intelligence guy. Harvey, thank you for being on the show. Thank you very much. I thoroughly enjoyed it. Thank you, my go-getters, for reading. 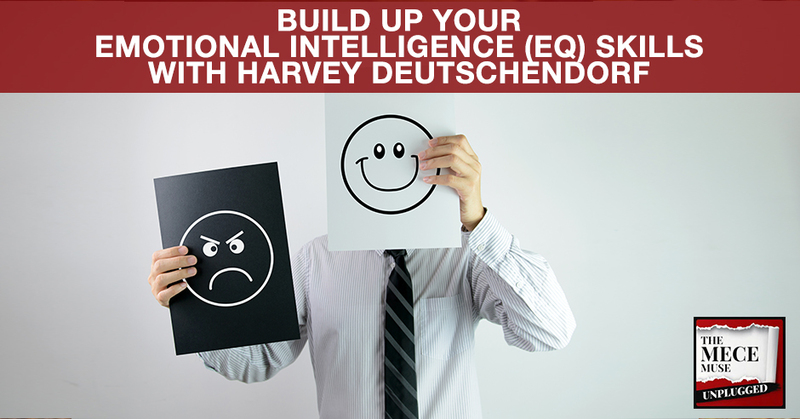 Harvey is an Emotional Intelligence expert, internationally published author and speaker who has worked in the field of E. I. for more than 20 years. He is an active member of the ManKind Project and Toastmasters. Harvey is a regular contributor to FAST COMPANY and writes a monthly column for HR PROFESSIONALS MAGAZINE. You can follow him on Twitter @Theeiguy. He lives in Alberta, Canada with his partner in life, Sandra. 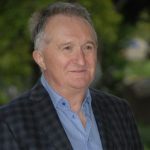 Harvey is known for his ability to make difficult concepts easy to understand and wants to bring this information to as many businesses and individuals as possible. His easy to read, follow and carry out exercises can create positive changes in your life right away. Emotional Intelligence transformed Harvey’s life and his passion towards the topic is evident in his presentation. Looking forward to hearing from you!